USA Today: Archaeological evidence provides new insight into dates when the Buddha lived and died. Financial Express: Buddha 2 centuries older than previously thought. The National Geographic Society provided some funding for the project and seem to have closely involved in communicating the findings to the media. Of the various reports I read, only the USA Today (memorable quote from Richard Gombrich) and one of the National Geographic articles included any critical comment. Let me say at the outset that none of the claims made in these headlines are true. They strip away considerable uncertainly expressed in the article itself and even more that emerges from a careful reading of it. And unfortunately it is Professor Coningham himself who seems to be fostering this misconception if his interview on the National Geographic site is anything to go by. He claims that the results shed light on the "lifetime of the Buddha himself." One of the principles that was drummed into me as a student in the sciences was not to go beyond what the evidence showed. Speculation is fine, as long as it is presented as such and treated with caution. In suggesting that his results shed light on the lifetime of the Buddha, Coningham is going well beyond his evidence. This much was quite obvious from the mainstream reports and interviews and I wanted to see for myself what the team had discovered. So I called in at the Cambridge University Library and printed off a copy of the article. The dig was led by Professor Robin Coningham, of the Department of Archaeology, University of Durham and Kosh Prasad Acharya of the Pashupati Area Development Trust. Coningham has a string of publications resulting from work associated with Buddhist sites in India and Sri Lanka and has also done field work in Iran and Bangladesh. Less information is available about Acharya on the web, but he has been involved in previous excavations at the site. from Coningham et al p.1109. The team examined several small areas (C5, C7, C13, ENE) around the foundations of the Mayadevi Temple ruins (see left). Like many Asokan period ruins, the foundations are a grid of brick walls about 75cm thick (they can be clearly seen in many of the photos in the news stories). These are assumed to have formed the base of a temple. A temple to Rūpadevī stood on the site when it was investigated in the late 19th century. The association with Māyādevī relates to a Gupta-period (300-600 CE) statue found on the site which was originally thought to be Rūpadevī but later reinterpreted as Māyādevī (the article does not give dates or sources for this identification, but presumably it was early 20th century). Most important was a small area (C5) ca. 75cm x 200cm in a trench left by a previous examination of the site, and a further area within this of just 50cm x 50cm. So rather large claims seem to be made for a small hole. However what they found is indeed interesting. Previously Indian archaeology related to Buddhism has tended to focus on the large brick structures erected by Asoka ca. mid 3rd century BC. Some of the reasons for this are obvious - bricks survive and big piles of them are easy to find. The centuries have frequently buried sites under meters of soil, and sometimes only these large mounds still stand out. Some of the earlier work on these monuments showed that they were build around pre-existing monuments. Existing stupas were frequently enlarged in stages, each one encapsulating the previous structure. But on the whole we have no archaeological evidence that predates Asoka. Coningham has dubbed this the "Mauryan Horizon" and the exciting thing is that these new discoveries appear to penetrate beyond that horizon. At the temple site the earlier team had stopped digging in the central area when they discovered a pavement edged by two rows of bricks of a different size and shape to the traditional Asokan bricks (which are broader and flatter than modern bricks). This pavement clearly ran under the foundations of the Asokan structure and was partly incorporated into the foundations. Below this pavement the present team identified two previous "phases". Below the kerb itself was a series of (irregular) post-holes suggesting that the kerb followed the line of a previous wooden fence. Samples from the fill in these post holes were radiocarbon dated to 799-546 BC and 801-548 BC. Note the broad range of values here: 253 years in both cases. Still, even the upper dates are still much earlier than any previously associated with Buddhist archaeology, if indeed the structure is Buddhist. A problem here is that if the post-holes are Buddhist and the 801 or 799 BC date is accurate, then we have to re-write history much more drastically. The press releases carefully ignore the more distant (and less credible) end of the date range. Curiously the video on the National Geographic site shows a team of archaeologists working in a much larger and deeper pit than the one described in the article. And just as Coningham is mentioning the words "wooden structure" the worker in the pit is lifting out a poorly preserved piece of wood. We need to be clear that the article describes a different pit, and no such intact pieces of wood. Any talk of a "structure" in the article is predicated on the "post holes" from which the wood had long rotted away. The idea that it was a tree shrine is predicated not on finding a tree, but on evidence of tree root channels and a micro-anaylsis of the soil. The earliest phase in this site has been identified as a cultivated flood plain (1112) dating to the end of the second millennium BC. The people cultivating the land ca. 1600 BCE were certainly not Buddhists! They were probably not even Indo-European or speakers of an Indo-European language at this early date either. In about the 7th century BC an artificial mound appears to have been created using alluvial sediments. 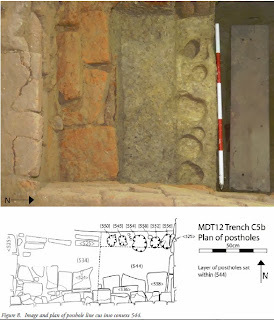 From the presence of post holes and the roof tile shards elsewhere at the site (reported by a previous excavation) the group deduce a covered structure. The lack of roof tiles in the present dig, which is central to the temple, suggest an open centre (however the centre of the Asokan structure and the probable centre of the tree shrine do not coincide - see below). Various features of the soil excavated at the centre also suggest exposure to the weather. Features of the present site are similar to tree shrines in Sri Lanka. (1113). One of the gateways at Sanchi depicts a roofed structure with a tree protruding through the roof. Superimposed on these layers are the later brick structures. It's unclear from the article what date they assign to the pre-Asoka kerb and pavement. So what we have here is a possible tree shrine that might have had a wooden fence. This was replaced by a brick kerb and stone paved walkway, possibly associated with a roofed structure, and then this whole thing was build over by a large brick monument or temple (of which only the foundations remain) probably sponsored by Asoka since nearby we also find a pillar edict. It is on the basis of the discovery of the pillar edict that Lumbini is considered to birthplace of the Buddha. The very first question to ask about these findings is this. Is there any indication that the post-holes or paving are Buddhist? And the answer is no. Here Coningham et al. seem to be entirely unaware of the critical discourse surrounding Buddhist historical narratives. Most historians now doubt that the Buddhist texts give us much insight into Buddhist history because we cannot tell what was composed when, nor what was simply passed on and what was invented. My own investigation into the name of the Buddha makes it clear that his name was invented at a time when Brahmanism was ascendant in North India (i.e. after Asoka). The early history of Buddhism is obscured by the lack of reliable witnesses. "... [tree shrines] have received little archaeological attention. Perhaps this is even more surprising when one considers that tree shrines are generally held to have been a well-established and ancient form of ritual focus in South Asia, some scholars suggesting an antiquity stretching back to Neolithic times." (1116). In view of this and the extraordinary claims made for insight into the "lifetime of the Buddha" one might have expected Coningham et al to provide some evidence that the layers they examined were in any way associated with Buddhist activity. But they do not. All we know is that by the time of Asoka, Lumbini was associated with the birth of the Buddha and the so-called Māyādevī Temple was build on top of an existing tree shrine - or as the article is careful to say "a potential tree shrine" (1117). It's clear from Buddhist literature that Buddhism in the earliest forms that we meet it is already syncretised with various other religions. It incorporates Vedic gods for example. At it incorporates a variety of animistic deities such as yakṣas and nāgas that play an active role in daily life, but are supernatural. We even have a word for tree-spirits (rukkhadevatā) who live in special trees and are propitiated. The earliest Buddhism is a synthetic construct incorporating many elements, just as Tantra does a millennium later. Assimilation of Vedic places of worship was not possible, because apart from the family hearth where the sacred fire was kept burning they built no temples. Animists on the other hand, who worshipped trees or the spirits who dwelt in them seem to have built fences around special trees to protect them. And this aspect of animism was taken up by Buddhists in their stone architecture of some centuries later. In my article on the possible Iranian origins for the Śākyas I proposed that the major climate change in 850 BC might have been the event which caused them to migrate to the area north of Kosala that is now associated with Lumbini. If this is correct then the area had been populated for some centuries before Buddhism arose. Indeed Coningham et al show that the earliest phases in their investigation is associated with agriculture suggesting the area was occupied by farmers for almost a millennia earlier than this (1681-1521 BC). My theory would make these the Śākya people and would have predicted that signs of agriculture would be evident by at least 850 BC. Though this does not preclude occupation much earlier by other groups. That the site at Lumbini was occupied before Asoka is not a surprise. That it might have been a shrine likewise. Various theories predict this, including my own. But where is the evidence for Buddhism at this early date? There is none. Another series of question concerning the tree remain unanswered. If there was a tree shrine at Lumbini, which was treated as a sacred spot, how did it come to be built over by Asoka? Coningham et al mention the legend of cuttings taken from sacred trees and being grown elsewhere and particular care being taken of such trees. Compare the situation at Bodhgaya where the temple was built to one side of the tree shrine. What happened to the tree at Lumbini? Did the tree died of some natural cause? Or was it destroyed? According to legend the Śākyas were slaughtered by a Kosalan king. If this reflects history did that king also destroy their sacred sites? What was there when Asoka's temple was built apart from a kerbed path? If we accept the idea that the Asokan structure was built on the site of a pre-existing tree shrine then there are still some oddities. The kerb and path, which the authors take to surround a tree as the focus of a shrine, in fact occur in the centre of the Mayadevi Temple. 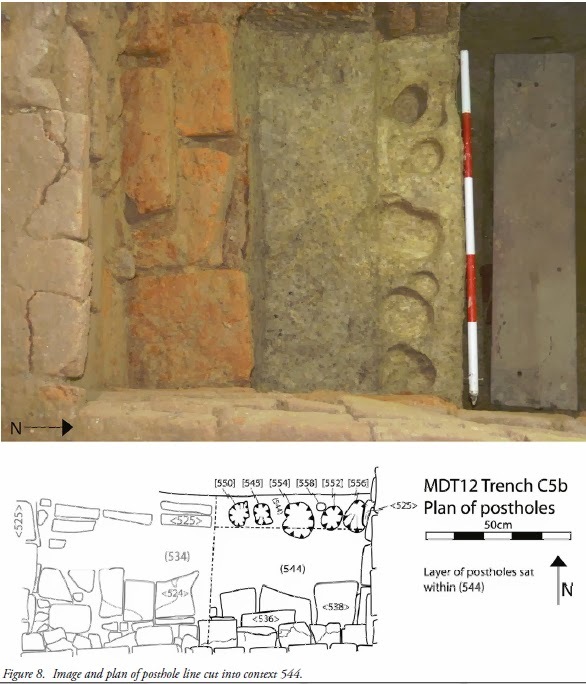 The post holes (left), taken to mark out a sacred spot, are found to the east of the central chamber in an east-west line. The holes are far from regular in diameter or placing, but appear to be in a roughly straight line going right through the middle of the Asokan structure. Something is askew with the geometry here. The chamber C5 is not the centre of the tree shrine, but its edge. Thus a lack of roof tile shards in C5 is not evidence for an open centre of any putative tree shrine. This in turn raises another question. Why would the Asokan temple be constructed off to one side of the original shrine and not directly over it? if the tree represented, as the authors suggest, an axis mundi (1117-9), why did Asoka not follow the plan? His other monuments are often expansions of existing monuments that concentrically incorporate them. I would have expected the expert archaeologists to address these questions and provide plausible answers, but they do not. The post hole sizes vary from ca. 5cm to more than 10cm; they are unevenly spaced; and they have cross-sections far from symmetrical. All this suggests that if the posts that fit them represented a fence then it would have been a rather wonky fence. 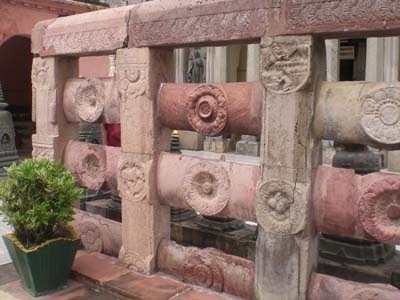 This means it would be be quite unlike the railings erected by Buddhists around sacred trees and copied by later stone masons at sites like Sanchi. And it is the Sanchi stupas and Bodhgaya tree shrine (image right) which provide the model for the authors to interpret a line of post holes, barely more than 50cm in length, as supporting a fenced enclosure. What seems more likely from the post holes uncovered is a roughly constructed stockade rather than an ornamental railing. Perhaps it is a naive question but I would like to have read more about the significance of finding charcoal in the post holes (which provided material for radio carbon dating). More than anything I'm puzzled at being unable to find a date for the kerb and layers of paving in the article. They say (1108) that there were three successive layers of paving. Why were these not dated? If any part of pre-Asokan layers of the site was likely to be Buddhist it was this paving, but they are overlooked in favour of the post holes which are entirely unlike known Buddhist styles. There might have been good reasons for this, but they don't seem to have been stated. There is no doubt whatever that the find at Lumbini is significant and fascinating. But Coningham et al (and Coningham himself) have overstated the claims for what this find signifies. In particular it tells us nothing whatever about the dates of the Buddha. What it tells us about is the dates of human occupation and use of the site at Lumbini. This is intrinsically interesting, but is only an outline that requires considerable filling in. Specifically it tells us nothing about who the occupants were. The authors of the article seem to have been carried away by the minutiae of the discovery and the assumption that all archaeology on an Asokan site is ipso facto Buddhist. We have no indication that the underlying layers were in fact Buddhist. Such evidence as is presented -- e.g. that the site may have been a tree shrine -- is ambiguous, and in most cases the language of the article, contra the press release, is carefully hedged and qualified as one would expect in a scientific paper. Such questions as the alignment of the different layers at the site; the unknown fate of the tree in the shrine; and the type of fence suggested by the post holes; all seem to point away from a strong connection to the Asokan layer or a relationship with other Buddhist structures. If anything the evidence suggests a discontinuity. 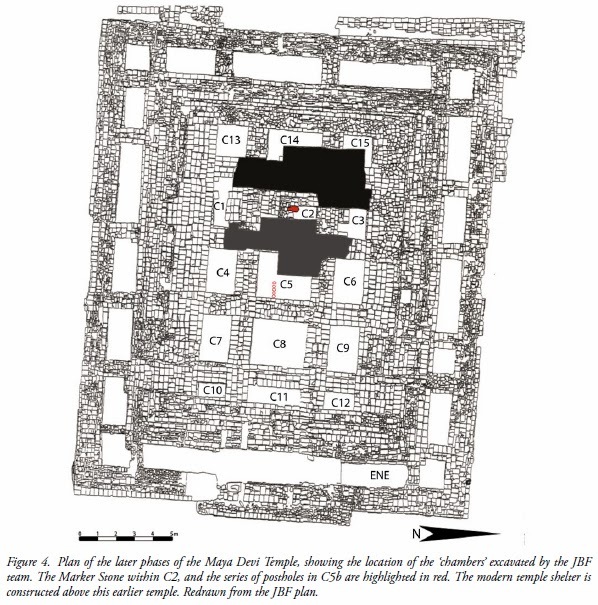 If the suggestion is that the layers under the Asokan structure represent the activity of Buddhists, some extraordinary evidence will be required. 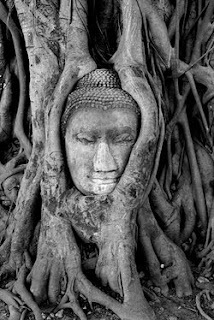 Something far more typical of Buddhists must be linked with the layers in question. Until then there is no question of revisiting the dates of the Buddha. There seems to be false reasoning linking all activity on the site with Buddhism because Asoka thought that Lumbini was the birthplace of the Buddha. Even the Buddhist tradition allows that the Śākyas had lived in the area for some time, so why should the activity be pre-Buddhist? Were the Śākyas unlikely to build tree shrines or even temples? Though I have speculated that they might have had residual Zoroastrian beliefs we in fact no nothing for certain about the tribe the Buddha was born into. But they must have had beliefs and acted them out since all humans do. I imagine that a great deal remains to be done and some interesting discoveries lie in wait beyond the "Mauryan Horizon". But we have learned nothing definite about the origins of Buddhism from this research, let alone about the lifetime of the Buddha. Normally when confronting a gap between the evidence and the media reports I would lambaste science journalists for sloppy reporting and a poor understanding of the scientific process. It is all too common. But in this case the study itself has some flaws, and Professor Coningham seems to have played up the connection with the lifetime of the Buddha despite having no real evidence. Media reports largely seemed to regurgitate an undigested press-release that can only have come from the authors or publishers of the article. I think this is unfortunate. In these days when funding for research is thin and obtaining grants competitive, I can understand wanting to create a media buzz around a project and its published findings. How exciting to discover something about the historical Buddha! However in this case we learned nothing about the historical Buddha, or even about historical Buddhism. I'd love to have some solid evidence one way or the other. I'm a great fan of evidence. As sophisticated as their archaeological methods might have been, the authors of the article have been let down by their hermeneutics and have produced interpretations that seem doubtful at best. That said I do look forward to seeing what else they come up with in the future. 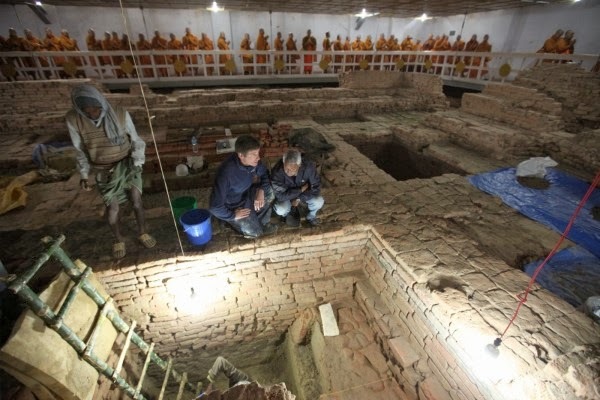 There is a lot of scope for continuing archaeological investigations at Buddhist sites. Dhīvan. The Tree Shrine at Lumbini. Danny Fisher. Do Archaeological Discoveries at Lumbini Really Change the Estimated Date of the Buddha’s Birth? Sangharakshita wrote his magnum opus, A Survey of Buddhism, in 1954. In the second chapter he explained how the Bodhisattva Ideal represents a unifying ideal for Buddhism. However as time went on Sangharakshita's thinking on this subject developed. In the History of My Going for Refuge he describes how he came to see the act of Going for Refuge as constituting the fundament Buddhist act. Going for Refuge to the Three Jewels - the Buddha, Dharma and Sangha - is common to every school and sect of Buddhism. Going for Refuge to the Three Jewels, then, is not only fundament it is also universal and hence is more clearly the unifying factor in Buddhism. Sangharakshita sees the Bodhisattva Ideal as the altruistic dimension of Going for Refuge. The language of Going for Refuge is not Buddhist in origin. Like many things in Indian religion it has a Vedic origin. 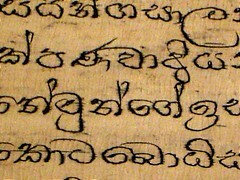 The Chāndogya is one of the oldest upaniṣads and almost certainly pre-Buddhist. In Chapter four it instructs the one carrying out a sacrifice to go for refuge to the verses (i.e. 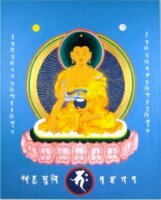 mantra) and the way they are chanted, to the direction one is chanting in, and in Atman. [verses 8-12]. However it was adopted by the Buddhists very early. Right from the first the people who met the Buddha told him that they would go for refuge to him and his Dharma. It's important to note that we do not take refuge, we go to it. That is to say that Going for Refuge is an active seeking, not a passive hiding. Neither can an unenlightened being 'give' us refuge. When we go for refuge to the Sangha, it is not simply to other Buddhists, or to monks, that we Go for Refuge, but to the Awakened Sangha, to the ones who have directly seen the Truth for themselves. Over the centuries Buddhism has become very diverse. Schools of Buddhism struggle to recognise each other as Buddhist. Buddhism, like other India religions, is inherently syncretistic - rather than suppress heterodoxy, it embraces it. Buddhists have never hesitated to borrow from other traditions. As Buddhism was exported from India it interacted vigorously with the other cultures and languages it met. Most of Asia was transformed by Buddhism, but from place to place that transformation took radically different forms. As a result we now have a bewildering variety of Buddhisms (plural) each with their own set of practices, their own jargon, mother tongue, scriptures, and cultural expressions. There have been many misunderstandings, and some reactions against fellow Buddhists, sometimes from unexpected quarters. Sangharakshita treats Going for Refuge as a hermeneutic which we can apply to any person in order to relate to them as fellow Buddhists. Because Going for Refuge is fundamental and universal we have a key to understanding what other Buddhists are doing. One of the examples that Sangharakshita uses is the case of Pure Land Buddhists who do not believe that any self power will avail them in Awakening, and that they must rely on other power in the form of the vows of Amitabha. To attitude stands in something of a contrast to most forms of Buddhism which exhort us to generosity, ethical behaviour and meditation - i.e. to a vigorous application of self-power. At first sight we might not see how simply chanting the name of Amitabha can really be considered a Buddhist practice. Surely it is just a form of theism? If we apply Sangharakshita's key then we first look to see whether the Pure Land Buddhist is going for refuge and to what. In this case they are clearly going for refuge to the Buddha in his Amitabha form. Their practice is to develop faith in the vows of Amitabha to save beings from suffering. This makes sense in the light of their Going for Refuge to Amitabha. Over the years many different texts and interpretations piled up. Earlier versions of the Dharma were not discarded, but placed on a lower level. The typical response to this was to create a hierarchy of teachings - this tendency was present even in early Buddhism. By the second millennium CE the hierarchies had become very elaborate and unwieldy. But how else were Buddhists to make sense of texts which contradicted themselves and were polemical against earlier forms of Buddhism? Again Sangharakshita's hermeneutic can help us, especially if we combine it with an historical over-view of the development of Buddhism. If we view all practices as motivated by Going for Refuge, and aimed at Awakening, and then we take account of the historical development of texts and exegesis, then we need not stack forms of Buddhism vertically, preferring one over another. Sangharakshita recently said to a group of new Dharmacaris, that he sees nothing in the Vajrayana which goes beyond the Theravada or Mahayana at their own pinnacles. What I think he means by this is that later practices are not more effective than earlier ones. Some practices may be better suited to some people than others, but all practices will only be effective to the extent that they are whole heartedly practised. To put it another way, the practice will be as effective as the Going for Refuge of the practitioner. There is a strong tendency amongst Buddhists to see their own school, or sect, or group, as being the best, the highest form of Buddhism. This kind of thinking obscures the unity of Buddhism. Buddhism is a highly diverse and heterogeneous religion. The unity of Buddhism is in the act of Going for Refuge to the Three Jewels. By seeing all Buddhists and their practices in terms of Going for Refuge that we can see how they relate to us and our practice. This also enables us to avoid the false conceit that we are on a better path, or that we are doing more powerful practices. image: Śakyamuni Buddha, by Jayarava.